This is Rashad. 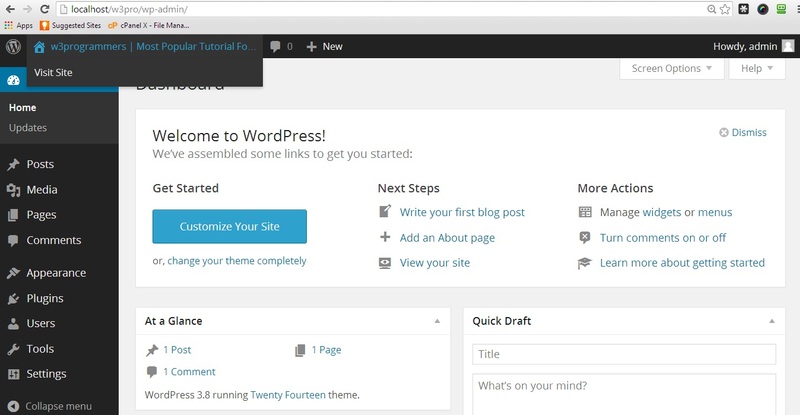 I am going to step by step tutorial to create a wordpress responsive website. 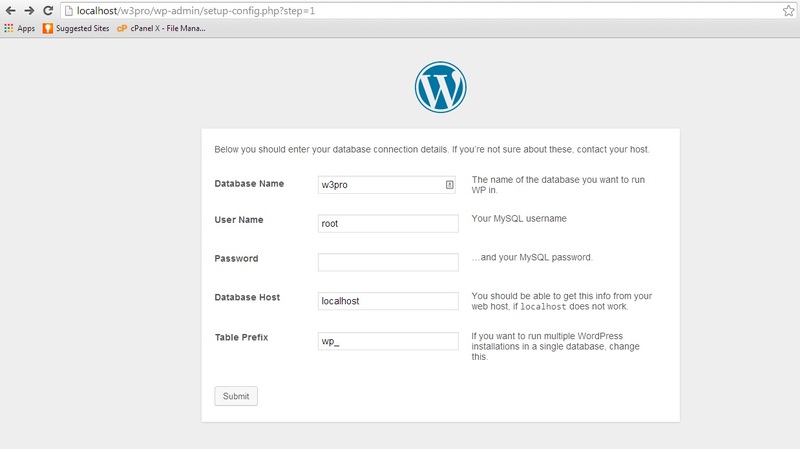 Here the first think is doing to create a local server (I am using xampp) to install wordpress CMS. And my plan is to develop wordpress theme and responsive website. You can do anything you want in wordpress CMS. Wordpress has great features in blogging, personal website, company website, online shopping cart and so on. SO I am going to use wordpress CMS as a blogging platform and scratching the theme of W3Programmers.com also I will discuss every little issues in my codding. 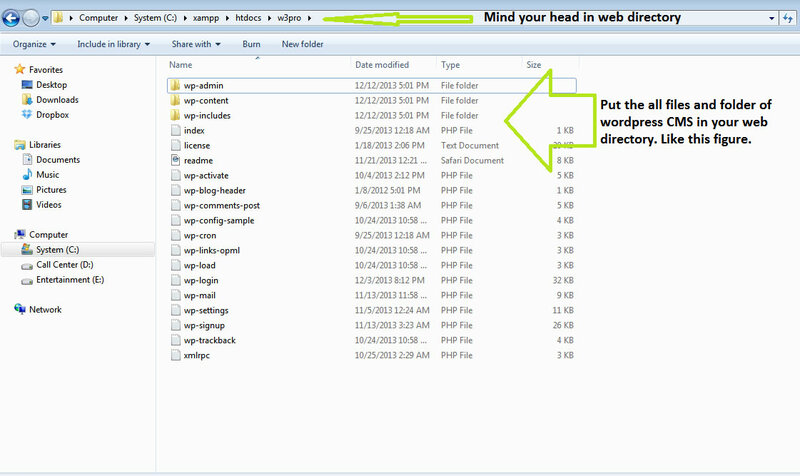 Step 3: Run your web directory in browser (http://localhost/w3pro/) and go to step 1 to install wordpress. 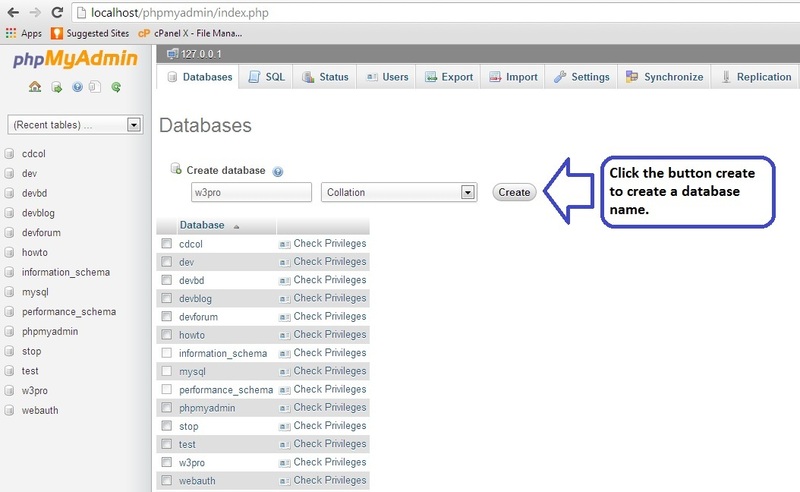 Put the database name, user in the image below and submit it to go step 2 to Run the Install button. 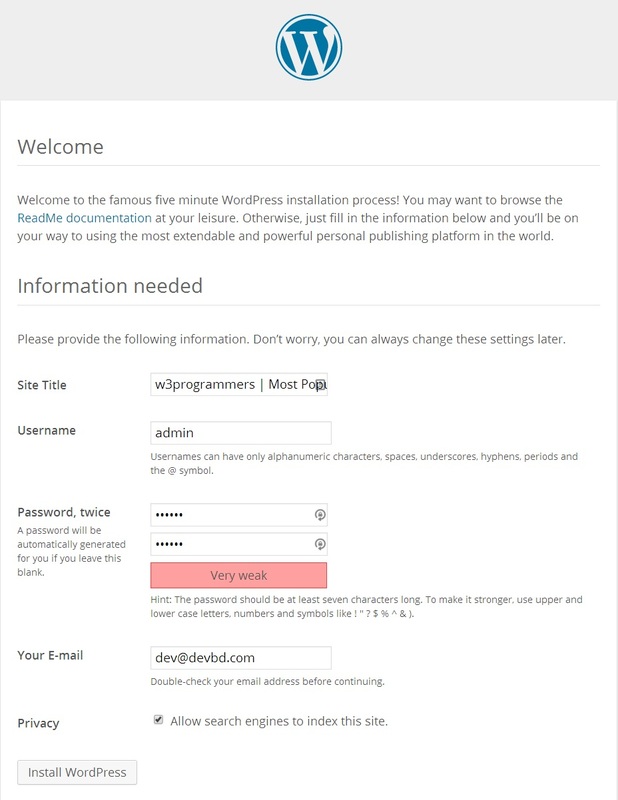 In the final step fill the form of wordpress user information and hit the Install WordPress button. 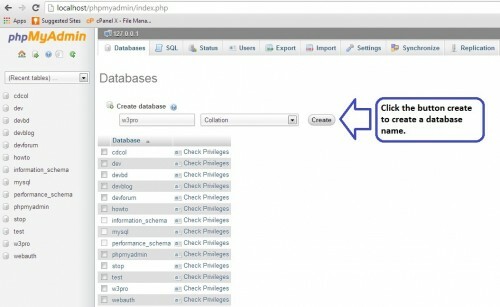 Now you can login to your wordpress dashboard….. 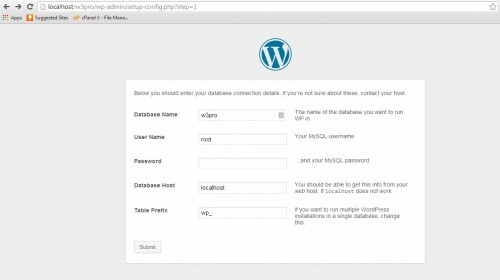 In this tutorial, I have install wordpress CMS in my local machine. 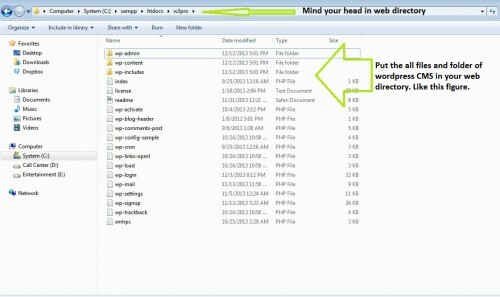 Next tutorial is coming soon about Setting of PHP Files Structure in WordPress Theme Development (Lesson – 2). Very nice tutorial… wait for next….bro.